Lenore believes home selling should be personal, memorable and flawless. 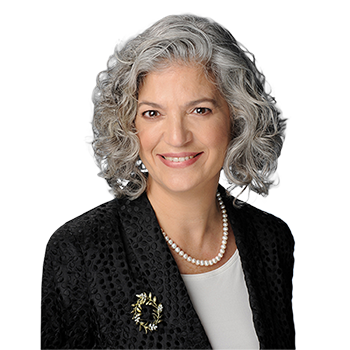 With over fourteen years of real estate experience in the DC area, Lenore has extensive knowledge of complex contract issues and negotiations, TOPA, 1031 tax-deferred exchange, escrow and title issues. She has seamlessly guided her clients through a wide range of sophisticated transactions. Lenore has continually been included in Washingtonian�s Best and Top-Producing Agents. Lenore has in-depth knowledge of the Washington metropolitan area real estate market. Her expertise as a residential and luxury home real estate agent, along with her superior negotiating skills continually results in successful real estate transactions for her clients. Lenore�s listings sell on average 103% over list price. Her clients are well-served and well-informed. She guides them through each transaction in a way that creates mutual respect and friendship. A former CPA at a major New York City accounting firm, Lenore brings her professional principles and skills to her real estate practice. She hails from New York, and earned her BBA in Accounting from Adelphi University. A long-time resident and community activist in Burleith, Lenore served as the Burleith Citizens Association's president for six years. During her tenure as president of the BCA, Lenore was one of the chief community negotiators and helped broker the groundbreaking Joint Conditions Campus Plan agreement with Georgetown University. Lenore is wonderful to work with and we would not have landed in our home if it wasn't for her. She is extremely organized, efficient, and her thought process is steps beyond the rest. She puts her clients first and responds no matter the day, hour or on vacation. For as sweet a person she is, her negotiation skills are appropriately aggressive for the DC market. I was very impressed with her professionalism and wanting to do right by her clients. Lenore not only helped us purchase a home but sold our other one, all within the exact timing we needed. I would recommend Lenore to anyone in search of buying or selling a DC home. Lenore Rubino is a true professional. When you list your home, it is natural to wonder if you will get the value you are agreeing to pay for when you sign the listing agreement. Our experience is she and her staff were well worth it. They went above and beyond what was expected. Would I recommend her? Yes. Absolutely Yes. Lenore and her team are very responsive and have experience with marketing and selling a property quickly. Her suggestions made to prepare the house for sale were thoughtful and effective. Within the first few minutes of meeting and talking with Lenore, you will know she is the one!!... You can trust and have total confidence!! She listens first and puts together a plan and continues to listen as you review homes. Her deep experience and knowledge combined with her responsive search plans and negotiation skills are second to none... She makes it happen for you! ... And she's fun to work with! A+++++ in my book. We highly recommend Lenore for any real estate needs. We bought a house in Georgetown and sold our condo in Arlington with her help. She is very knowledgeable, thorough, reliable, and in general, a very nice person. She helped us navigate the real-estate market and was incredibly patient as we were figuring out what type of place and where we wanted to buy. She accommodated our hectic schedules: she or her assistant were available whenever we needed them for numerous house tours. When it came to offers and bargaining, she provided invaluable advice and steady guidance. She was always on top of the things, followed through with the documents, checking things and reminding us what needs to be done. Lenore is also a warm and caring person and forthcoming with useful information and advice even when it goes way beyond the buying/selling process per se. It was a pleasure to work with her. In sum, she went above and beyond and provided an outstanding service! There is no way to say enough positive things about Lenore. She did so much more than any reasonable person could expect an agent to do. When there were issues, she dealt with them. When things went wrong, she found solutions. I owe a great debt to her services and her friendship. Lenore is a patient, creative, flexible, and highly successful realtor. She undertook a painstaking study of recent sales in our neighborhood and helped us pinpoint the attributes and features of our house to highlight in order to get the price we wanted, which we got! She counseled us about staging, got bids from different companies, held open houses as well as parties for realtors, placed ads, convinced a local newspaper to write an article about our house, responded to potential clients quickly, and provided them with answers to ALL their questions, even getting a childproofing proposal in response to one potential buyer's concerns about our house. Like a good midwife or doula, she also managed tensions and differences between us (we're a married couple) about the sales process. She is one of the hardest-working agents I've ever known, but she never lets you see her sweat: always gracious and fun, but tough when she needs to be. The proverbial iron fist in a velvet glove. I give her an A+. My husband and I owned a house in Georgetown, DC, for many years, and Lenore was our agent for ten of those years after our former agent passed away. She handled the renting of our property in a very thorough and professional way. I recently lost my husband and decided to sell the property as I no longer wanted to be burdened with rental property. Since there were tenants in the house, it was a more complicated sale, and Lenore was right there with me every step of the way. I highly recommend Lenore to anyone looking for a top-notch real estate agent in the DC area. We recently listed and sold our home with Lenore Rubino and Peggy Patshak in Frederick, MD. We had worked with Lenore twice in the past when we sold two properties in DC, in Burleith and Foggy Bottom, and had been very impressed with her knowledge, her willingness to help and her ability to see what needed to get done to showcase the house. Lenore worked with us, not just making suggestions but helping us implement them, and we felt that the service that she provided us was above and beyond what we expected. We recommend her highly! Even though the Frederick market was new to her, she worked tirelessly and made sure that the transaction was very smooth. We consider ourselves lucky to have had her help, and after our many interactions together we consider her as a good friend. Lenore Rubino was an absolutely wonderful agent to work with. She provided constant information updating us with changes in the market, as well as practical information on how to stage and prepare our home for sale. With her advice and insights into our local market, we had multiple offers within the first 48 hours our home was on the market and an impressive offer that we accepted. Lenore was on top of the entire process, very responsive and always available and listened carefully if we had questions or concerns. I would highly recommend Lenore Rubino for anyone looking for real estate in DC or looking to sell. Without exception, she exhibited professionalism, wide experience and knowledge, patience, and grace under pressure. With Lenore's guidance we were able to have an exceptional real estate experience! During 2016 and the early months of 2017, I engaged in three separate real estate contracts with Ms. Lenore Rubino. Each of the contracts dealt with distinct projects and required different skills and expertise. Ms. Rubino excelled in all three projects and exceeded all of my expectations. The first sale, a condo in Dupont Circle, was to be a home for my son. Lenore had spent many hours showing us potential apartments and townhouses in different areas of town. Once we decided upon the Dupont Circle unit, Lenore was most helpful in assisting me to understand the best way to develop a contract, since the apartment had other interested potential buyers. The second sale was the result of the need for a different living arrangement. Lenore spent hours researching possibilities and showing us many of them. When the appropriate house presented itself, Lenore moved quickly to guide us in making a successful offer. The final project, the preparation of our house of thirty-three years in NW Washington, DC, for sale, required a tremendous amount of energy on Lenore�s part. This was a very challenging time for all concerned. I became so confident in Lenore�s advice and abilities that I concurred with all of her recommendations for renovation, staging, and strategy to prepare the house for sale. The result was most successful. Lenore was at all times professional, pleasant, patient, kind, knowledgeable, and tireless. She is the consummate professional, and I would highly recommend Lenore for any real estate concerns. Lenore Rubino is a professional realtor above and beyond compare. The level of service that she and her team provide is astounding. She helped us with both a D.C. sale and a Bethesda, MD, purchase. On the sale side she had fantastic recommendations about how to prepare the home. If your home needs repairs, Lenore has an extensive network of high-quality contractors that respond immediately to her calls. Lenore prices properties appropriately to attract a competitive scenario, and when the offers come in she understands how to help you manage your risks and maximize profit. Once the offer has been accepted, Lenore and her team follows up on the process to ensure the deal is completed. On the buy side Lenore referred us to a great bank that provided excellent service. Subsequently, Lenore kept us well informed about available inventory. When we decided upon the right home to purchase, Lenore helped us design an offer that was attractive to the sellers in a competitive bidding environment. Our offer was NOT the highest dollar offer by a 6 digit margin! Only through Lenore's professional experience in crafting offers were we able to purchase our dream home. There are many critical and challenging decisions to make when considering your real estate needs, deciding who to work with is now quite easy. Do yourself a favor, work with Lenore. We are incredibly grateful for what she was able to accomplish for our family. I would recommend Lenore Rubino with great enthusiasm. Over the course of approximately four months, she helped me find a residence in the D.C. area. As we viewed over a dozen properties, she was an excellent listener and worked tirelessly to guide me. Without exception, she exhibited professionalism, wide experience and knowledge, patience, and grace under pressure. Real estate transactions can be a rocky road, but I barely noticed the bumps. In a gentle, down-to-earth manner, she was able to balance my needs with straight-forward assessments of what was possible, and not possible. She will get you to where you want to be, and you would do well to hire her. Lenore gave me insightful, practical advice regarding the market and how to prepare my house for listing. Her knowledge of the Burleith market enabled us to set a price that was spot-on for the market. Our listing drew multiple offers the first weekend that it came on the market, and Lenore was even able to negotiate a rent-back provision in our contract with the purchaser. She was responsive, knowledgeable and a complete professional throughout the entire process, which was very smooth from start to finish. I highly recommend her to anyone looking to list a house for sale in DC. Lenore represented my wife and me in the purchase of a historic home in Georgetown. The home was caught up in a number of technical issues on the sellers' side, and the process was quite complicated. Throughout the buying process, Lenore was a gem - always on the ball, helping us through every complication, and going above and beyond in every way. Besides being a talented professional, she's incredibly friendly - and we are now happy to consider her a friend. We most highly recommend Lenore Rubino to anyone looking for a Realtor in the DC area. Lenore was recommended to me by her former colleague, who was no longer practicing, and I did not know much about Lenore before meeting with her to discuss purchasing a home in DC. But I have to say that working with Lenore was one of the best decisions out of the whole process, and I am so happy and grateful for it. From the get-go, Lenore was easy to get along with and made me feel very comfortable. I was a little behind on the DC market and how things would play out, but she explained every required step very patiently and guided me well from beginning to end. When visiting properties, she would give her honest opinions and offered sharp insight that I would overlook. She wanted me to be happy and respected my desires and needs - she was on my side and demonstrated distinct care and friendliness. When I zeroed in on a home that I wanted, she negotiated with the listing agent with my interest close in mind and made sure that I got a negotiation I was happy with, while still making sure I got my foot in the door. She is tough and persistent at the right times. And she is quick. When things need to move along fast (i.e., offers, addendums, agreements), she operates at all hours of the day, and I could rely on her. Another benefit to Lenore was that she has great contacts with home inspectors, roofers, etc., so I did not have to bring on external people all on my own. She has done this for a long time and works with the best of the best. I would recommend Lenore to anyone interested in buying a beautiful home that they are completely happy with, at a price that is fair, and wants someone friendly, reliable, experienced and strong to represent them. Working with Lenore was a pleasure and she really helped me purchase a home that I am beyond happy with. I won't forget my experience working with her and I'm very grateful for it! It is our pleasure to recommend Lenore Rubino for your real estate needs. First and foremost, Lenore knows the real estate business from all aspects (listing, selling, and renting). We enlisted Ms. Rubino's services to help us rent our townhouse as well as to navigate the hiring of a property manager. We found Lenore to be extremely professional, diligent, very knowledgeable, and approachable. She was able to answer every question along the way as well as make great recommendations that helped us to quickly secure tenants for our rental property. Lenore knows the area of Washington, DC, well, and she has a keen knowledge of what her clients can expect from perspective tenants. Lenore is an amazing partner in the real estate "adventure" in the DC area. Always quick to respond and thorough in her guidance, she is incredibly knowledgeable about the DC market. She can envision potential in a property and has suggestions on how furniture would fit, how updates might be made, where problems may lurk. Lenore is creative, energetic, and just-plain fun to work with—we've strongly recommended to several of our friends that they work with her when looking for a house or condo. Lenore Rubino is the best realtor I have ever worked with, and I have worked with many through the years. Lenore has helped me sell my home quickly and buy the next one. Nobody has ever worked as hard for me as Lenore! Very professional, knowledgeable, and extremely hard-working, Lenore Rubino gets results!!! Lenore is, quite simply, the best. She found us a buyer even before our house went to market; she catered to our every need (and we were demanding clients); she was highly efficient; her wide-ranging experience showed its worth at every turn; and in personal terms she was a delight to work with. From start to finish she was professional, reassuring, and expert. I do not see how anyone could have done better. The classiest touch of all was to buy me and my wife dinner at one of the best restaurants in town when the sale was concluded. I recommend Lenore unreservedly. Lenore has helped my husband and me to buy and sell multiples properties in the DC area starting in 2005 and going through 2015. Her professionalism and work ethic impress us every time. She knows the market cold and is very detail-oriented. She is also an incredibly hard worker and routinely sends emails late, late at night to make sure she is being responsive. For our most recent sale, we had already moved to CA, but our townhouse needed a significant remodel to make it competitive in the Glover Park neighborhood. Lenore oversaw the design and remodel of the property and did a fantastic job. We more than doubled the amount of money we put into the remodel with the final sale price. Not only is Lenore a wonderful agent, but she is also someone we consider a friend. I never doubt for a second that she is doing what is best for us. We no longer live the in area, but there is no one we would use other than Lenore if we move back, and we recommend her to all of our friends who still live in DC. Lenore is highly knowledgeable about the workings of real estate in general and the specific issues of Washington, especially Georgetown. She is hard-working, attentive to detail and incredibly available to clients. Lenore often takes on tasks to help make the sale work that would not normally be considered her role, but does so in collaboration and makes sure they are according to one's wishes. Lastly, we were impressed with her ethics and sense of integrity. Lenore brought the sale of our home to a most positive outcome, several hundreds of thousands of dollars more than we had originally hoped for. Trust Lenore's judgment and expertise. She will surpass your expectations!